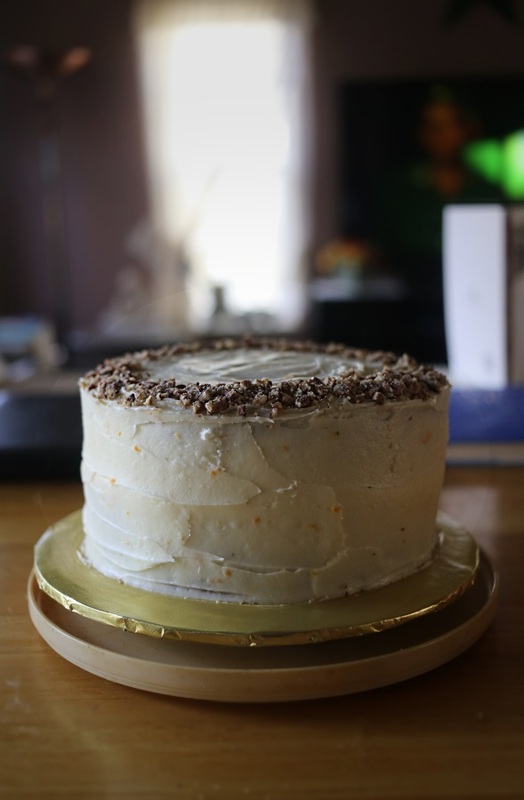 A Hummingbird Cake. What in the world is a Hummingbird Cake? 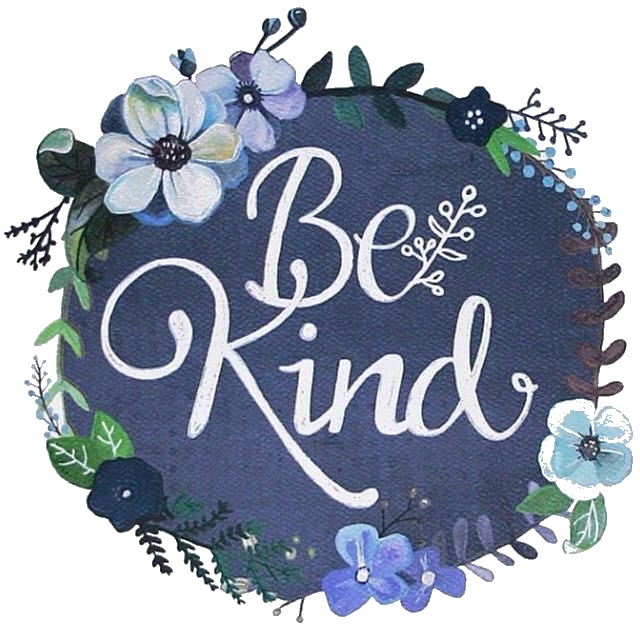 If I hadn't stumbled into this magical world of blog baking, I would never have learned of its existence. I assumed it was an American tradition but when I asked around, no one else had heard of it either! Turns out, the origin of this recipe hails from Jamaica and it didn't hit the United States until 1960's as part of the country's tourism marketing. As for the quirky name, there are two theories but I am more partial to the idea that the cake is sweet enough to attract humming birds who only consume fruit nectar. That being said. What in the world is a Hummingbird Cake? Lots of bananas and pineapples. Pecans. A hint of cinnamon. All the making of an epic recipe! Just look at those legit layers and luscious cream cheese frosting. This is a "cake-cake" - I could imagine seeing it at an old school diner. The best way I can describe the flavor is it's the cake version of banana bread with extra moisture from the pineapple. The only aspect that I'm not crazy about is the use of vegetable oil instead of butter. It magically works because the cake is not in the least bit greasy. If you're not into pecans, I would recommend adding toasted, flaked coconut to this tropical dream boat. Throw a little cocktail umbrella on top and put on your sunglasses. Hang loose, baby! My favorite part of this cake was getting to make it with my wonderful MIL! We cleared our calendars and buckled down to donate it for her church event. Had to represent the family loud and proud! We rocked our aprons and hit tons of silly glam shots for the camera. Rawr rawr! As you can see, she's quite the cutie! 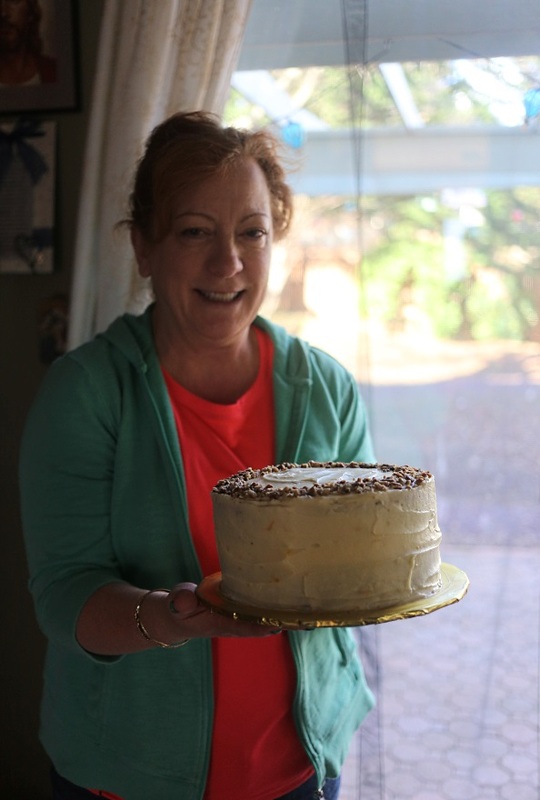 The Hummingbird Cake received glowing reviews and my MIL had to pounce to keep the leftovers. I plan on baking smaller version as that's a lot of cake for our cozy family. Maybe take a whack at the muffin or cupcake version? 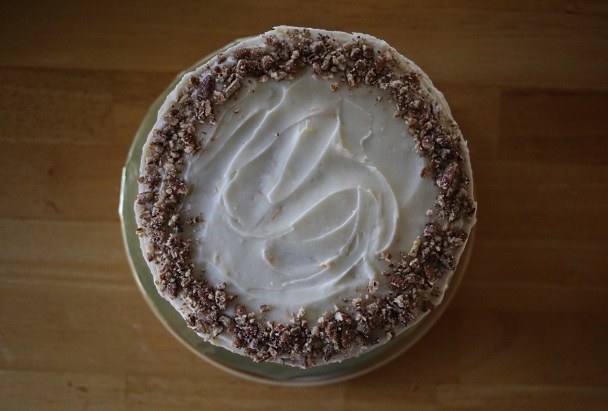 The recipe for this lovely Hummingbird Cake can be found on Brown Eyed Baker. Enjoy!